I have thought long and hard about whether to put up this post. 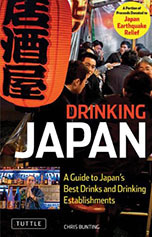 I have had a number of email conversations with members of the Malt Maniacs group and others about how the situation at the Fukushima power plant might affect Japanese whisky. I had not wanted to post on the topic until the situation had stabilized and we had access to the full facts. I thought a post on this topic might fuel groundless fears. 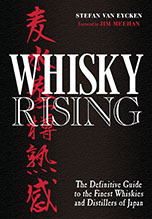 However, it has become clear to me that rumours and scares appear to be spreading among foreign fans of Japanese whisky. This concern has been built on the back of what has, quite frankly, been laughably bad reporting of Japan's problems in the aftermath of the Great East Japan Earthquake. I have had emails talking about Japanese food and drink products, not just whisky, being "finished" in the international market. Some correspondents have said there was no way they will buy Japanese because of the problems at Fukushima. Below is a image taken from this website showing radiation levels in Japanese prefectures from the 15th to the 17th of March. I have annotated it with the names of relevant prefectures to Japanese whisky fans (in blue) and the names of distilleries (in purple). The radiation levels are measured in microsieverts per hour. Microsieverts are the smaller of the two measures of radioactivity being mentioned in the media right now (microsieverts and millisieverts). They are a thousand times smaller than millisieverts. To put these measurements in some perspective, one one-way trip from Tokyo to New York would give you and anything in your luggage about 100 microsieverts of radiation. Natural background radiation in the UK ranges from about 2000 to 7000 microsieverts a year (according to this Scottish Government news release). If you are particularly worried about ingesting radiation, consider the humble banana. The funniest thing I saw in these past few days was two colleagues taking long drags on their cigarettes as they swapped worries about the radiation. Note that the Fukushima measurement is not given in the graphs below (but here is a post with some measurements). Also please bear in mind that different locations in some of these prefectures are going to get different amounts of radiation. The background radiation will differ between prefectures. Let's get this in some perspective and support these people. Please stop the scare talk. That is the situation as, I think, it stands at present. We don't know how this situation will develop but this is the advice on a realistic worst case from the British government's chief scientific officer: http://ukinjapan.fco.gov.uk/en/news/?view=News&id=566799182 .